Again, Paytm store has another Free Paytm Cash for you. Now, they have partnered with Snickers. So, you will get free Paytm cash on Snickers Bar. Now get Rs 20 worth paytm cash on every pack. The Paytm Snickers Offer is for a limited time. You need to visit the www.paytm.com/snickers offer page. So, hurry up and check more details below. Get Paytm cash worth Rs 20 on each pack of Snickers bar under the Paytm Snickers Offer. So, hurry up and buy the new Snickers with Paytm offer. 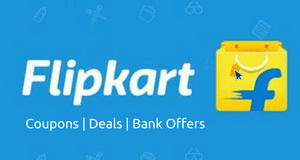 Paytm store is now back with another free Paytm Snicker offer. Now, they are offering free money code on Snickers chocolate. To avail the offer, You need to buy Snickers chocolate from any of your nearby stores. Then, get the Paytm cash code from the pack and redeem it by following our below steps. This offer is similar to Freecharge Scotch Brite offer, Amazon Kitkat offer. The offer is limited for three-time use during the tender period. This exclusive offer is going to expire on 31st July 2017. So, guys, hurry up. HURRY UP !!! On the purchase of Snicker, you will get upto Rs.20 Cashback. Click Activate offer to get the details. Visit your nearby stores and look for new Snickers bar (chocolate). Buy a new Snickers Bar (Free Paytm cash offer should be printed on the pack). Open the Snickers bag and look for a printed cash code. Find the unique Paytm Snickers cash code > Note down the code and proceed to next steps. Go to Paytm Snickers cash code redemption page by clicking here. Enter your Unique Snickers Cash Code > Click on “Proceed” button. Login or Sign-up to your Paytm account. Soon, you will get the Rs 20 Paytm cash on your wallet. 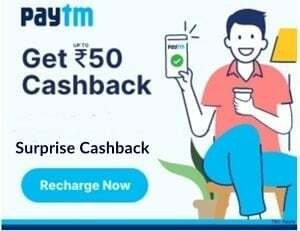 You can use the Paytm cash on Recharge of Mobile, DTH and much more. 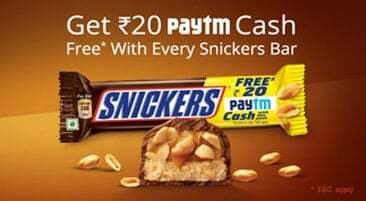 The Rs 20 or more Paytm cash you will get from the Snickers Paytm offer is not transferable to the bank or other Paytm account. But, you can use for recharging your mobile, DTH, bills payment or much more. The Paytm cash has no limit of expiration. So, you can keep the amount in your wallet and use it at the time you want. The paytm cash code is only available on the Snickers bar worth Rs 40. The payment code for the offer is there on the package. The exclusive Paytm cash code can be redeemed only on paytm.com/snickers page. A user will receive Rs 20 on his/her Paytm wallet. Each cash code is unique, and a user can use it only once. A user can avail this offer thrice. The www.paytm.com/snickers offer is available from 15th February to 31st July 2017. 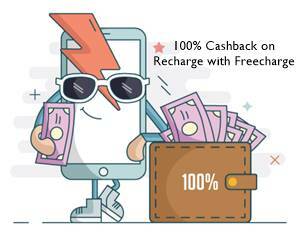 Also, check the Paytm Stayfree offer now.